While putting your leftovers is relatively easy to put in glass containers, there are some cases where plastic wrap just seems like the only way to go--such as wrapping half an avocado, or wrapping your sandwich for your work lunch. 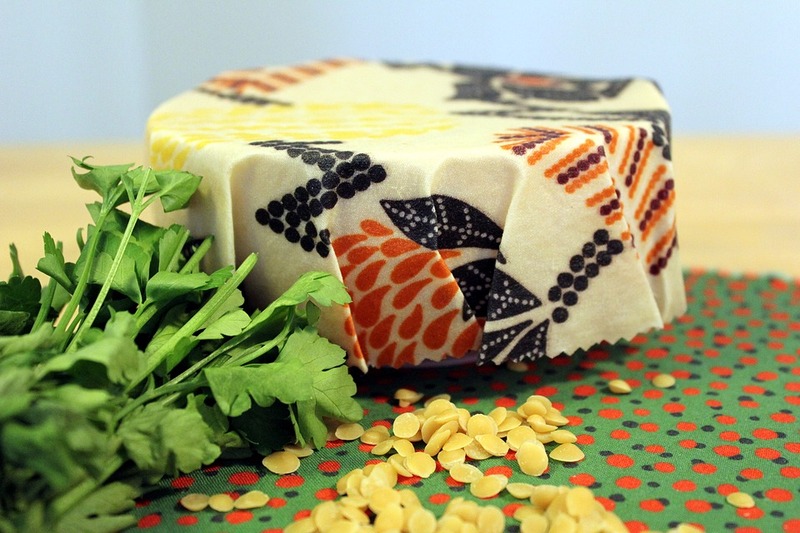 Here is a great replacement though: beeswax wraps. These are swatches of reusable cloth that are coated in tacky beeswax, which adheres to bowls, or to itself if you’re wrapping veggies. It is especially sticky when slightly warmed and activated by the heat of your hands. Packing lunch for two kids who have lunch at school and buying said food and snacks in bulk at Costco has caused me to use my fair share of ziptop single-use baggies. It kind of makes me sick to use them everyday, knowing they will get thrown away after just that one use. That’s way too many of these baggies filling up a landfill from just my little family. There had to be a better way. There are a few alternatives but the one that seems to work the best and hold up to multiple washing are little muslin double-drawstring bags. They are machine-washable cotton bags that you can get in various thicknesses--the heavier ones allow it to have a tighter seal to keep crumbs in and stand up better to repeated washings. Finally a plastic free solution for the Goldfishies! If you are someone who drinks coffee every day and you frequent places like Starbucks regularly--there a couple things you could do. 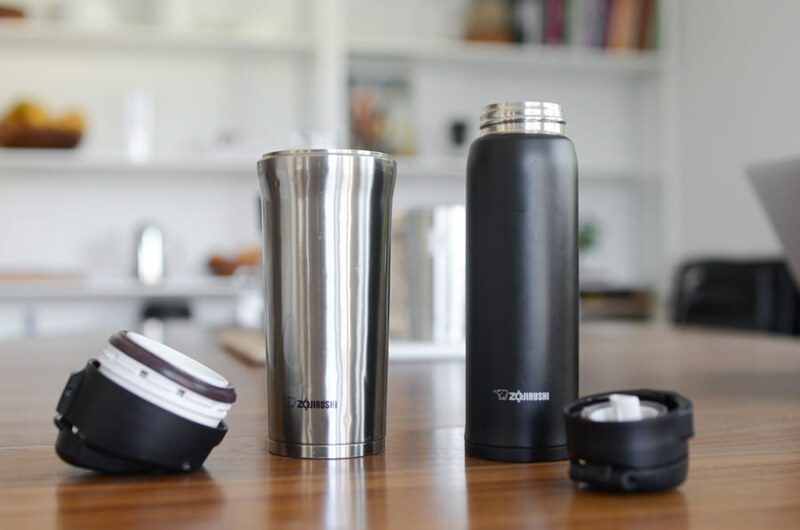 Your first option is just to make your own coffee at home and bring it to work in a really good insulated travel coffee mug that will keep it hot for hours. The advances that have been made in the last few years for containers to keep drinks hot and cold are incredible. There are plenty of options of great travel mugs you can find on Amazon and in stores. Your other alternative is to BYOTM, or Bring Your Own Travel Mug, to Starbucks. They will actually give you a ten cent discount on your beverage (and no, it doesn’t have to say Starbucks on it--any mug will do!). You get a discount and know you are doing your small part to help the environment! It is super easy to grab a plastic fork for your salad you’re bringing for lunch at work, or you could go the green route and make yourself a little to-go bag of reusable utensils from your kitchen drawer including a fork, knife, spoon, stainless steel or bamboo straw, and cloth napkin. You can bring this with you to work (maybe even keep a spare set at your desk), have a set in your car, and bring these with you when you eat at at fast food places or sit-down places like Chipotle. You might feel a little strange at first, but in actuality people would probably be thinking how smart and cool that is. This is a big one for me and one that I’ve talked about before but single-use plastic straws are SUCH a problem here in America. 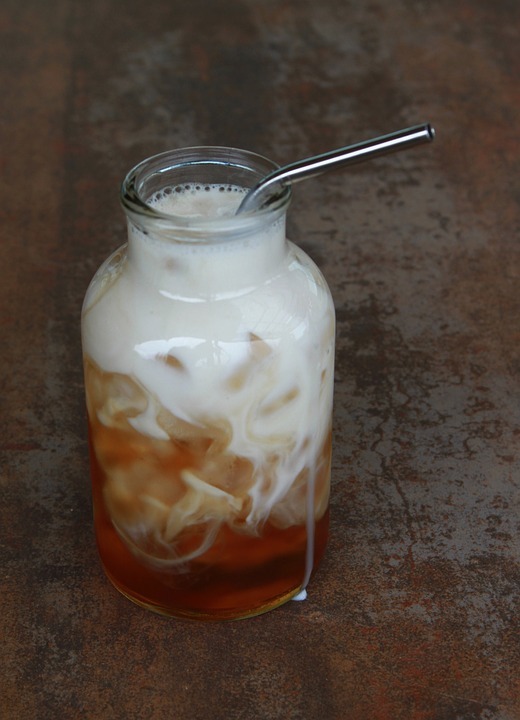 Market research puts the estimate that Americans use between 170 and 390 million straws per day; or 63 to 142 billion straws per year. Straws at this time cannot be recycled and tons of these actually end up in the ocean, hurting all kinds of animals. If you change just your family’s habits of using reusable straws, it really WILL make a difference. There are tons of super easy alternatives including bamboo, very thick and durable glass, stainless steel, and even paper ones that are biodegradable. Just make sure you get the little straw scrubber to zip through it before you wash it. I learned that the hard way, as we make a ton of smoothies and that gets stuck easily in straws. Do you have any tips or tricks on how to ditch plastics in the kitchen? Please share your ideas in the comments below! Subscribe to Cook'n Premium and get newsletter articles like this each week! Serve Up A Breakfast That's Cute And Tasty This Easter Holiday! You've Been Making Toast Wrong--Try Buttering FIRST! Rust on Your Cast Iron? Not A Problem! Cook'n Demo: New Long-Press Feature! That is a sense of humor!